Need to define a subtle but nice looking barrier for temporary events? The Lightweight Portable Vinyl Picket Fence Kit is designed to stand alone on a flat surface and can be easily moved as necessary. 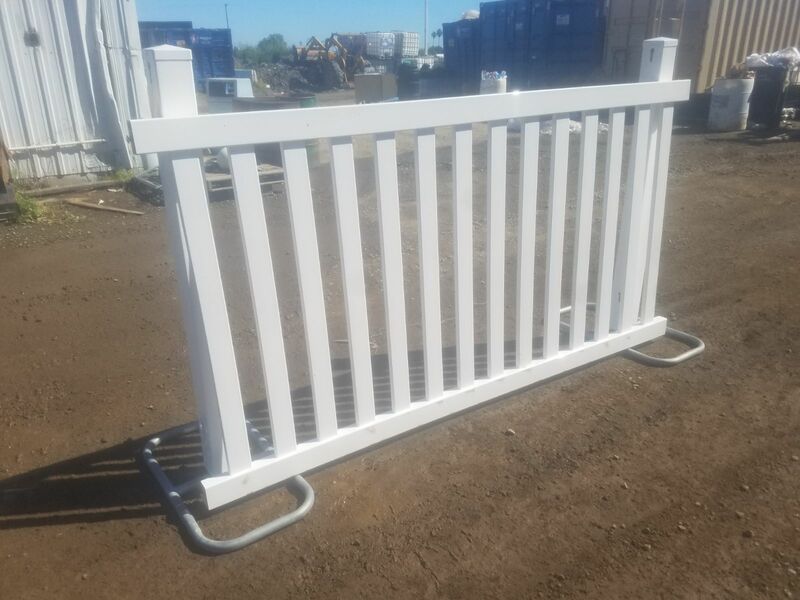 The included metal bases can be mounted to concrete or wood if necessary using appropriate hardware (purchase separately), but they will also support the fence with no additional hardware.